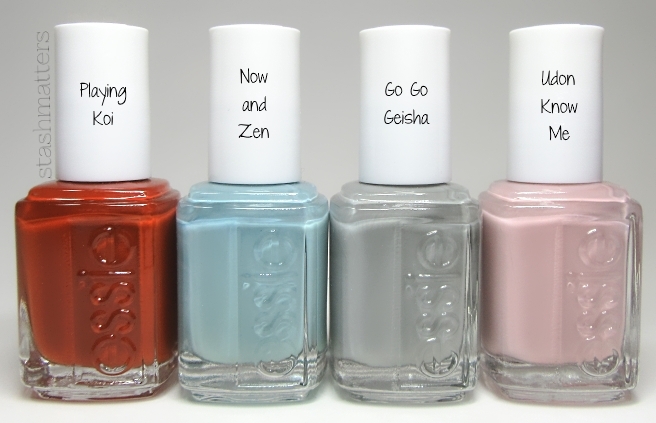 Essie as a brand seems to be either a “love it” or “hate it” kind of situation. I am firmly in the “love it” camp. I have tiny fingernails and I really appreciate Essie’s minute little brushes. I’m also a big fan of their formula in general. Essie’s Fall 2016 collection is an interesting one. You can see the whole collection on the Essie website but overall, it seemed a bit disjointed to me and most of the shades are shades I already have somewhere in my collection. With one exception: Playing Koi. Nowhere in my collection do I have a pumpkin/brown that sometimes looks red. Or at least I didn’t. Man, I’m struggling with words today. Pictures it is then! The above photos are three coats applied over OPI Nail Envy and topped with Seche Vite quick dry top coat. This wore for a full week with minimal tip wear and might have survived longer but we painted the master bedroom and no manicure can withstand Killz. Did you pick up anything else from the fall collection? Any shades you think are particularly interesting or worth taking a closer look at? I am firmly in the “love it” camp with Essie too! I find some of the wide brushes to be excessive! I picked up this shade from their fall collection too – it was my #1 pick from the collection, it’s so unique! It looks great on you – I can’t wait to wear it myself. Man, I am so behind on your blog again. The good thing about that is that I now have a Stashmatters binge evening in my near future! Have you tried Playing Koi yet? It really didn’t look the way I expected it to on my own nails so I’m interested to hear what you think of it!